We all know what happens when Ranveer Singh walks in to a party - he steals the show! And Monday was one such day. Ranveer and Deepika joined Team Simmba and other guests at the film's success party, hosted at Karan Johar's residence. Photos and videos from inside the party have made it to social media, in one of which, the 33-year-actor can be seen singing along to Jumma Chumma while the rest of the crowd grooves to the song. The party playlist not only included Jumma Chumma but the crazy bunch also let their hair down to Aankh Maare from Simmba and Zingaat from Dhadak. Deepika Padukone, who appeared to maintain a low profile at the party, can be seen hanging out with the guests in the videos, now going viral. 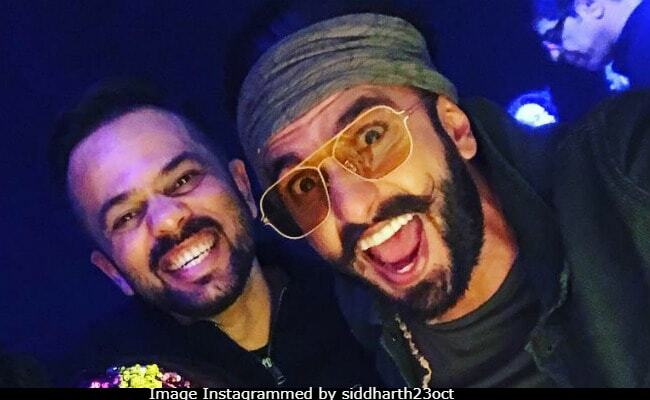 With his post, Rohit Shetty hinted at his next film Sooryavanshi, which will star Akshay Kumar. "Singham Simmba Sooryavanshi... Coming... Should I tell you something that you don't know?" he wrote.